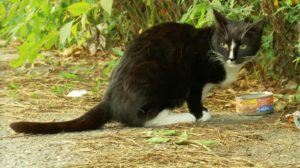 THE CAT RESCUERS is a documentary about four dedicated volunteers saving feral and abandoned cats in Brooklyn. With mere hours left on our Kickstarter campaign, we’re asking for our help to reach our first stretch goal and get to final cut of the film. 10. You like to show off your love of cats. 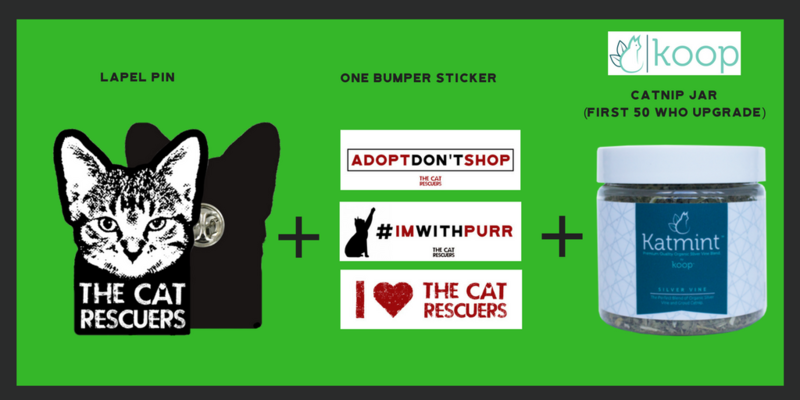 By popular demand, we’ve just added a new reward – a THE CAT RESCUERS lapel pin and a bumper sticker! New backer? You can get them plus a digital download for $45. Already pledged? Just adjust your pledge by $20 and you can get your pin, sticker AND the first 50 who upgrade receive a jar of Koopbrand catnip! 2. You want to help feed hungry cats. An anonymous donor has agreed to provide a weeks worth of food to our rescuers for every $100 raised over our goal. Not only can you help the movie, but you can help hungry cats. Contribute now! 3. Exclusive rewards not available elsewhere. We have lots of great rewards for cat lovers, including many limited ones, such as Mr. Catsby’s food bowls, Dharma Dog Karma cat beds, From Scratch premium pet food and more! 4. You want to transform your values into action. Sassee says it best, in this clip. 5. You have an adorable, brag-worthy cat. We have a gallery of photos on Facebook that’s all about showing off the adorable cats owned by our Kickstarter backers! Or more appropriately, the cats own our supporters. Let us show of your little furballs! Become a Kickstarter backer now, and then upload your kitty photo here. 6. 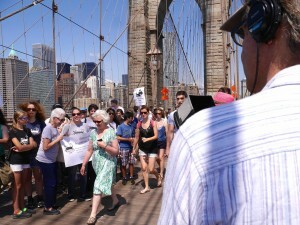 You want to help us make the best film we can make. Raising above our initial Kickstarter goal means we can invest in high quality post-production elements like color correction and sound mixing that will strengthen the quality of the film, giving us the best chance for the widest exposure! Contribute now! 7. You know TNR works and you want to see it widely embraced. This film is a primer for the uninitiated, alerting them of the cat population crisis and the important work that TNR advocates are doing to halt growth in communities everywhere. Contribute now! 8. 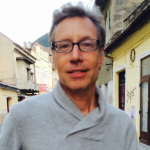 You want to put resources into the hands of rescue organizations. One of our most important objectives in making this film has always been to make the filim available to local rescue organizations across the country who can use it to fundraise and advocate for feral and abandoned cats. There’s even a reward on our Kickstarter that allows you to sponsor a community screening! 9. 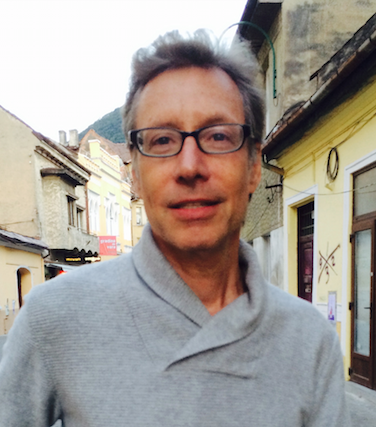 You want to help co-directors Rob Fruchtman and Steve Lawrence. The co-directors have won multiple awards for their past work, including a top prize from the prestigious Sundance Film Festival. The personnel involved in the movie guarantee it will be a substantive piece of work, made in a highly professional and artistically sound way. And best of all, the film is a labor of love for them, one that sends an animal welfare message that is close to their hearts. 10. You want to support the rescuers in our film! Like many of you reading this, Tara, Stu, Claire and Sassee are committed to the welfare of feral and abandoned cats, and they’ve made room for us in their lives these past few years because they want our film to inspire others to get involved. 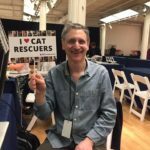 The faster that we can get our film out there into the world, the sooner we can celebrate their dedication, and motivate others to step up, for cats.